The small sized but technologically modern Poderino della Frasconaia, has begun vinification of its own grapes using its own natural yeast respecting the terroir, in small stainless-steel and/or wooden containers. 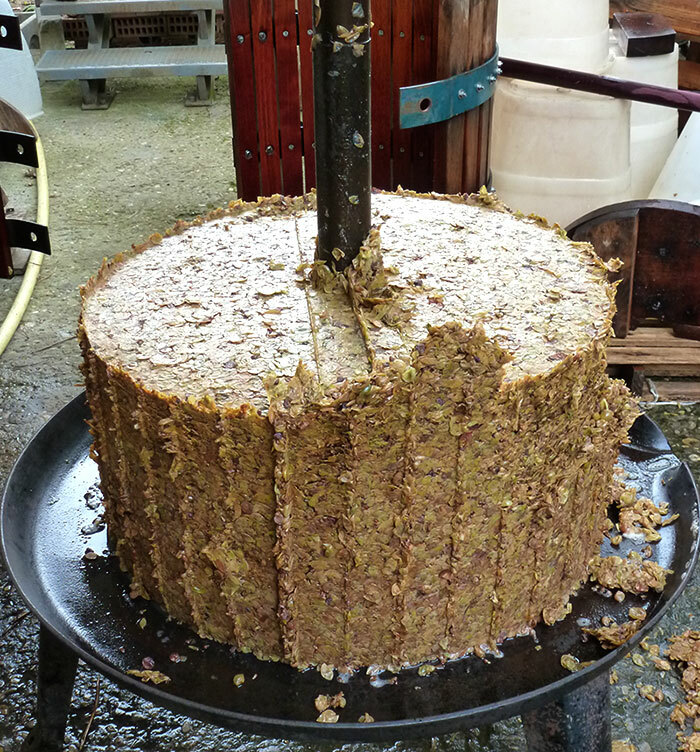 The wine is then aged in low or zero level toasting oak barrels and/or French oak barriques. For the Cabernet/Sauvignon grapes however, the whole vinification/ageing process takes place in vats and oak barrels in order to let the taste of this variety express itself entirely. This does not mean that good grapes make good wine; we taste the must everyday and then we decide if we should punch the cap down (submerge the cap with floating skins) or pump over (take the liquid from the bottom and wet the cap). The yeast we use is the one contained in the grapes and it changes at every harvest. Sometimes, a post-fermentative maceration is necessary i.e. we do not drain off when sugar is over but we extend contact with skins. Ageing takes place in 5 hl oak barrels and 225 l barriques during which we follow-up the process by regular tasting on a weekly basis at the beginning and on a monthly basis later on. 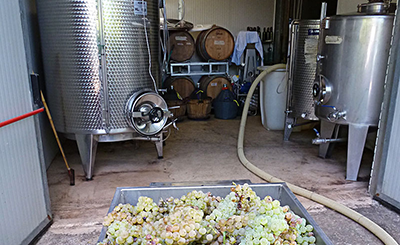 Grapes used for white wine-making are only de-stemmed and sent to fermentation; the cap is separated from the second day on. We drain off when sugar has broken down and fermeted at 75% of the process and we put the liquid into 3 hl tonneaux where the fermentation is completed and where the ripening on the lees, which are lifted up periodically, begins. This is how we respect the grapes’ potential and their belonging to the terroir. "Su questo sito utilizziamo i cookies per migliorare la navigazione. Navigando e cliccando su qualsiasi link di questa pagina, accetti l'utilizzo dei cookie da parte di poderinodellafrasconaia.it."